A massive Fortune 500 daughter that touts a Shear Force free pedigree and is the dam to our senior herd sire HSF High Roller 12T. 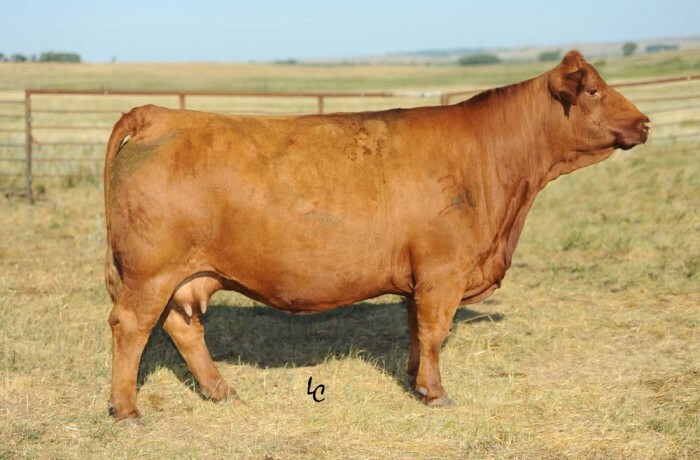 33R has been admired for tremendous capacity, sound udder, and excellent foot structure. She has produced numerous high sellers and young donors for Hofmanns and we are thankful for the opportunity to carry on with this awesome breeding piece. Open and flushing for 2014.